Francis Coppieters - Piano Viberations LP (The KPM Reissues). Vinyl LP. Bleep. Be With Records are onto a good thing with their latest run of reissues. 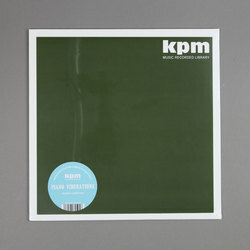 The label have been given the rights to a bunch of old tapes from the KPM Recorded Music Library. While the series includes records by famed library composers such as Keith Mansfield, it is perhaps their rarest find that really whets the appetite. The Belgian composer Francis Coppieters is little-known even in his homeland, but judging on the form of Piano Viberations he is an artist worthy of reappraisal. This collection of incidental post-bop jazz derives its title from Coppieters’ putting piano and vibraphone centre-stage.